June 29, 7 pm -Eldon House: Emerging Artists Performance. Tickets $18 online and $20 at the door. OnstageDirect.com/londondancefestival. An exciting evening of dance works by emerging artists and special guests from London and beyond. 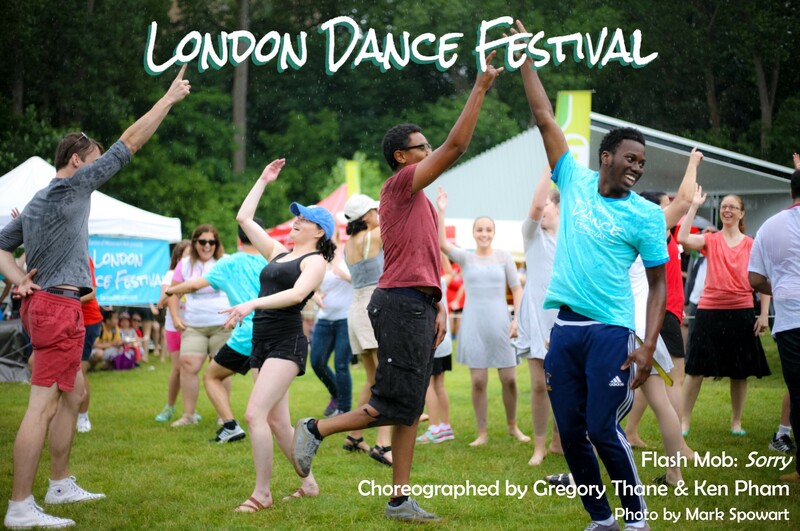 This performance will take place on the beautiful lawns of Eldon House, and is our way of nurturing young choreographers. Bring your own picnic blanket or lawn chair. Featuring Spotlight artist Breath in Mvmt. and emerging artists Tanveer Alam, Griffin Crespeigne, Kaitlin Jack, Tori Kuhn, Aly Mckone, Abbey Richens, and more. Spotlight Performance: Splintered by Breath in Mvmt. While I’m Away is a piece that explores how the ones who are left behind while their loved ones go off to war cope with the idea of losing them. Tossing and turning at night, an endless battle with the internal struggle of feeling helpless, feeling as though they cannot protect them. This everlasting affair of the heart is an emotionally jolted rollercoaster, each drop capturing the heartbreak, loss, and verwhelming emotions of loving someone in the army. Abbey Richensis a emerging artist local to London Ontario, with training in contemporary, modern, jazz, ballet, improvisation, and many more dance techniques, she believes storytelling through movement is of the uttermost importance. This choreographic work is influenced by the idea of letting go. Letting go of unwanted doubt or expectations, letting go of things that have already let go of you, and not running from difficulties, but facing them with vulnerability. 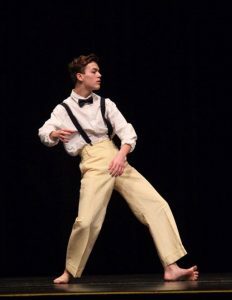 Griffyn Crespeigne attends H. B. Beal School of the Performing Arts. Thanks to his dance studio, Jo Read, Griffyn has been able to work with/perform for numerous choreographers who have challenged him. Dancers: Aly Mckone, Ashlyn Carwana, Claire Galajda, Gwen Logan, Jenna Hills, Hannah Granite, Madason Hale, Mackenzie Adams, Meghan Byloo, Sydney Ross, and Sydney Staecker. Sometimes we slip away from reality, and distance ourselves from facing the actuality of our lives. Often times we’re scared to see what lies at the end of the tunnel, making it difficult to find the strength to push forward. We get too comfortable with going through our lives living out of touch with reality. We need a push from others around us, to get us up, and show us the ropes. Aly Mckoneis a dancer at Sound in Motion Music and Dance Studio, and will soon be closing her 7th year of dance. She has performed in every LDF showcase and festival since their Spring Showcase in 2017. From the emerging artists festival, to another piece in this year’s spring showcase, (both choreographed by Ashlyn Carwana), Aly is so greatful to support and be apart of the festival. Aly believes in the expression of emotion through dance, and how each dance piece and dancer tells their own story. She is excited to share her art and emotion through her dance. The Dream of Life, created and performed by Kaitlin Jack, is a piece which fuses modern and contemporary dance and focuses on exploring the concepts of vulnerability, religion, reality, and truth through choreographed and improvisational movement. Kaitlin Jack is an 18 year old dancer, choreographer, and teacher based in London, Ontario. She began her dance training at Step Above Dance and Music Studios in her hometown of St Thomas, Ontario at the age of 6. Kaitlin is a versatile dancer trained in classical ballet, pointe, contemporary, modern, jazz, hip-hop, and acro, her favourite styles being ballet and contemporary pointe. Kaitlin began dancing competitively at the age of 15 and has since won multiple highest senior soloist scores and received scholarships to The Canadian Dance Expo, The Conteur Dance Summer Intensive, and the Toes for Dance FRESH Summer Intensive. 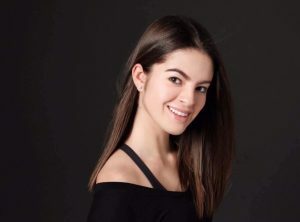 Kaitlin has had the opportunity to learn from teachers and choreographers from The Next Step and Toes for Dance and has attended summer intensives at the Quinte Ballet School in 2014 and 2016. In 2017, Kaitlin successfully completed her RAD Advanced 2 examination and received her Advanced Royal Academy of Dance certification. Kaitlin is currently training in Toronto and London and teaching at Dance Steps Studio while studying at the University of Western Ontario. 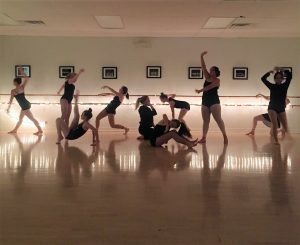 Kaitlin believes that dance is one of the most powerful and empowering tools for self-discovery and expression and views the art as a celebration of humankind which connects people from all walks of life. Kaitlin is currently looking to expand her training and gain further experience in performing, choreographing, and teaching. Uncharted is an exploration of the physicality that can be discovered within one’s body and what they can project into the space. 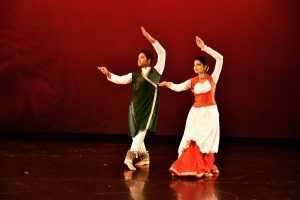 The two dancers, one from India and the other from Canada, create a meeting point in these uncharted territories. Smother is a piece crafted around the struggles of conformity, and the desire we feel to comply to societies expectations of us. Although the temptation of being unique is present, the fear of rejection and ridicule motivates us to conform.